With the latest addition to Nikon’s popular F1.8 prime series of FX-format lenses, Nikon has announced the new AF-S NIKKOR 35mm F1.8G, a versatile fixed lens ready to thrive in any shooting situation. The new 35mm F1.8G lens rounds out a collection of acclaimed F1.8 lenses including the AF-S NIKKOR 28mm F1.8G, AF-S NIKKOR 50mm F1.8G and AF-S NIKKOR 85mm F1.8G lenses. 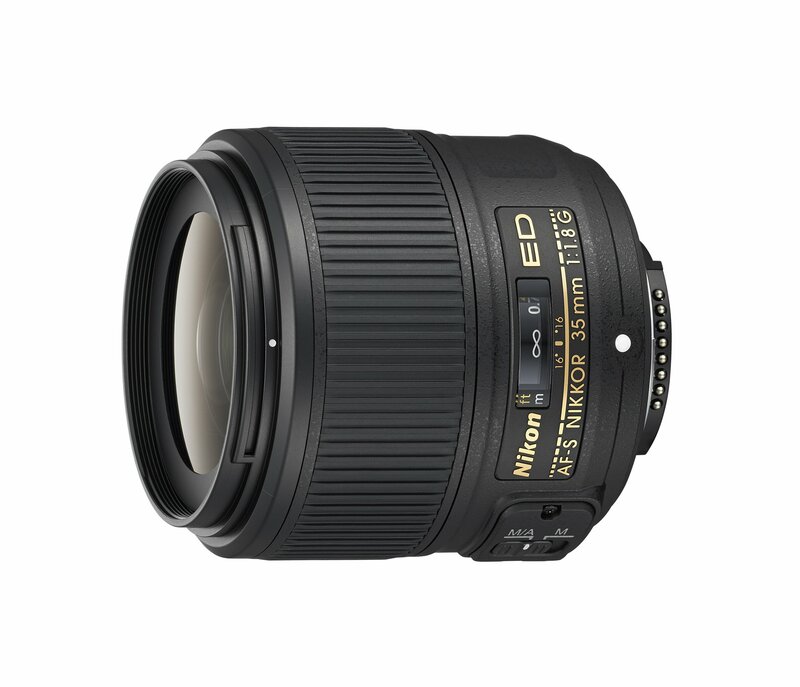 Sporting the popular 35mm focal length and covering a 63 degree angle of view with a constant F1.8 aperture, Nikon’s newest FX-format lens delivers outstanding viewfinder clarity and high contrast while providing outstanding low-light performance and depth of field control. Great for available light environment portraits, landscapes and travel photography as well as for producing beautiful images with soft, natural bokeh, the AF-S NIKKOR 35mm F1.8G is a versatile and valuable addition to any FX-format photographer’s lens arsenal and sports the latest in core NIKKOR technologies that ensure elite performance. The lens’ construction includes one ED and one aspheric element in addition to a Silent Wave Motor to provide quiet AF operation. “As the latest addition to the extensive NIKKOR lens line-up, the new AF-S NIKKOR 35mm F1.8G lens reinforces Nikon’s commitment to providing versatile prime lens options to photographers of all levels,” said Masahiro Horie, Director of Marketing and Planning, Nikon Inc. The AF-S NIKKOR 35mm F1.8G lens will be available on February 20, 2014 for a suggested retail price of $599.95*.